Limited availability for the introductory price! 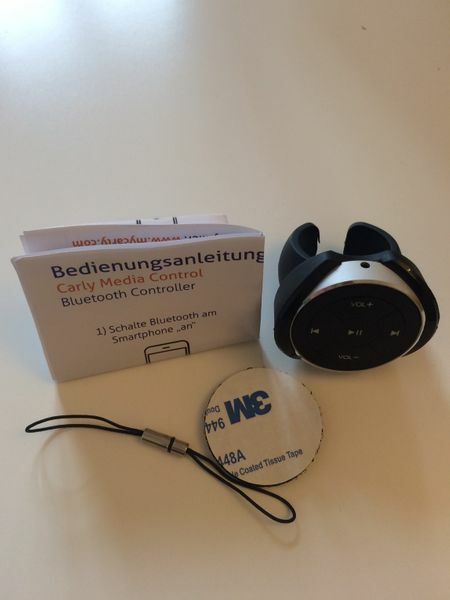 Operate the music of your smartphone legally via bluetooth, while driving without mounting it in the car! 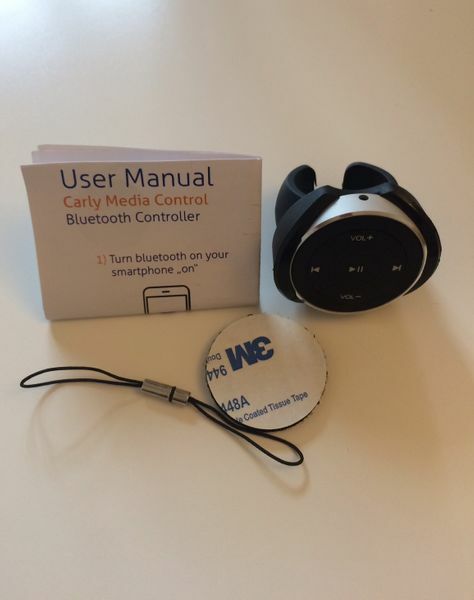 You can play, pause, regulate the volume and return or forward titles of music or other media recordings with the Carly Media Control, without even touching your smartphone. 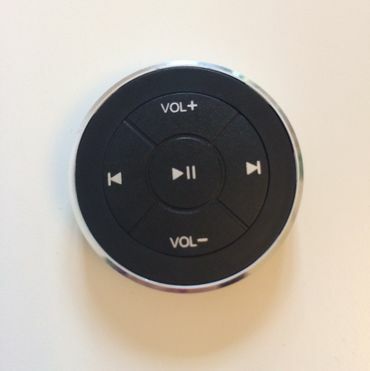 Change songs without taking your eyes from the street and control video recordings directly from your couch without getting up! TIPP! 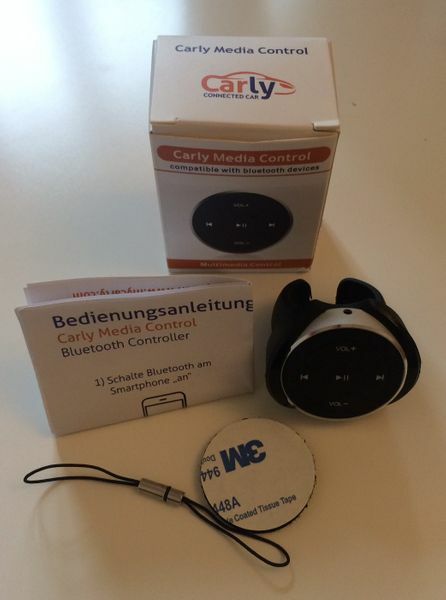 You can even play the music through the sound system of your car, and control it with the Carly Media Control, if you connect your smartphone via bluetooth with the sound system of your car (e.g. 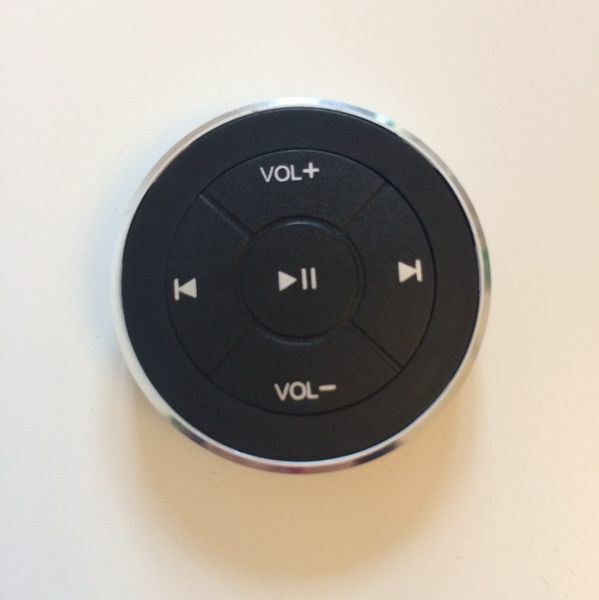 through the retrofitting of the Carly Bluetooth Multimedia / AUX interface)! We set a high value on compatibility and quality, when choosing our product. The included battery has a durability of up to two years. 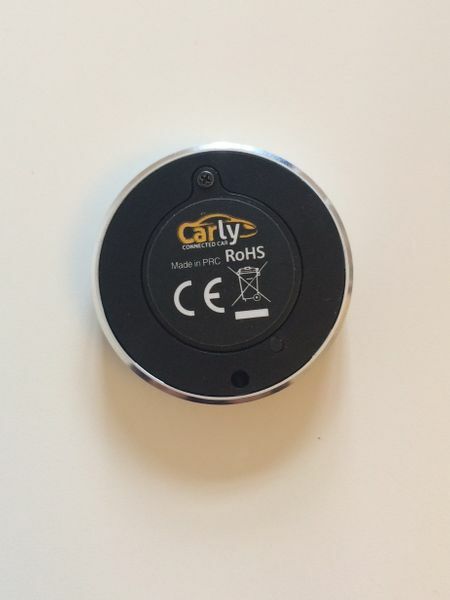 Additionally to the hardware, you get an user manual that shows you step by step how you connect, as usual for Carly service quality. It is a plug and play solution, with which you can start directly after the connection. 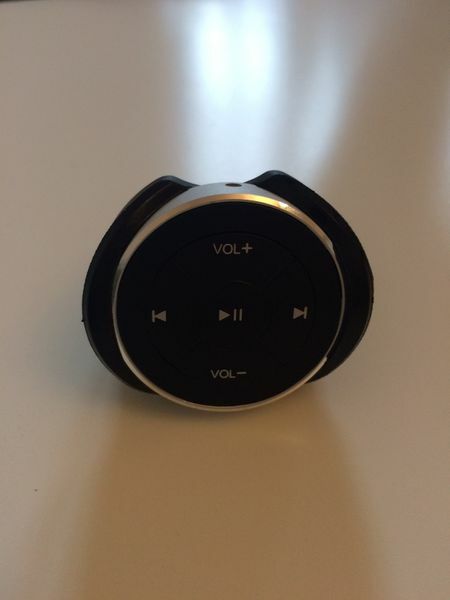 The parallel usage of other bluetooth devices is possible. You can fix the Medial Control on the steering wheel, thanks to the provided steering wheel mounting or mount it on a smooth surface of your choice with the velcro sticker. Moreover, you can contact the support, if you need help!